When you want to get control of your finances, you can start by taking a look at your present expenses and income. Although it may seem as if these things already are already, there is some short-term planning you can do. By taking a fresh look at how you spend what you earn, you can make some new choices that make life easier today, tomorrow, next week and into next year. It’s easy to fall into the habit of stacking up your bills until you have money to pay them. Most of your bills are about the same every month, so you can add them up to know what you have to pay on a regular basis. This is the beginning of your short-term financial plan. For example, if your rent or mortgage payments, utilities, credit card payments, car expenses, insurance and food costs average out to $3,000 a month, that’s the first figure you can jot down for your short-term plan on how to cover monthly expenses. You need to know the total amount of your take-home pay. If you earn an hourly wage and your hours vary from week to week, calculate an average that you make in a month. If you have a salary, you know your monthly income. If you have a business, you may have to look at a year’s income and average it out by the month. Use an after-tax figure, the money you actually have to spend each month. When you start looking at where your income goes after paying the bills, the first place to look is entertainment. Figure out how much you spend on movies, eating out, nights out with friends, hobbies and trips. You may be spending this money randomly as the mood strikes you, and taking a hard look how much you’re spending each month in this category helps you plan. You don’t have to stop having fun just because you’re making a budget; you can simply decide how much fun you can afford. 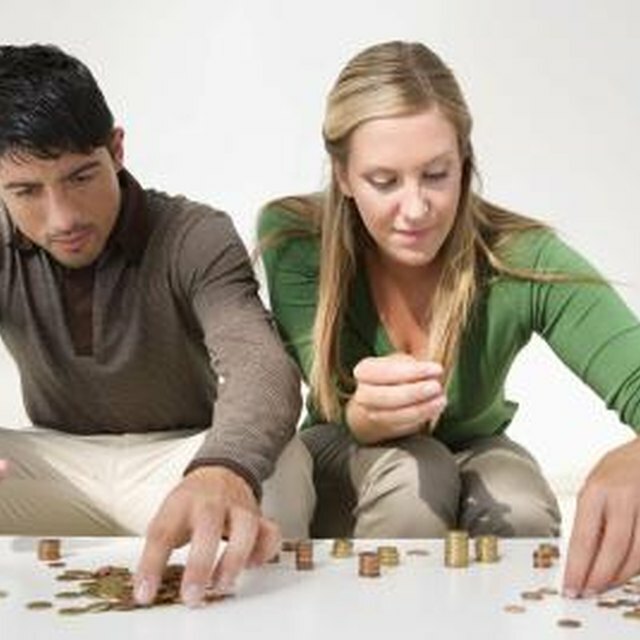 Part of your short-term budget can be about stashing money away in a savings account. You may be spending money so randomly that you think of savings as what you happen to have left over at the end of the month; however, this approach almost always means that you don’t have anything left at the end of the month. To save, you must plan on a specific amount to set aside. This can come either from your “fun” money or from cutting back on your regular expenses. If you make only minimum credit card payments, there are two things you might consider for your short-term financial plan. One is to stop using your credit cards so you don't get further into debt. The other is to make a set payment every month. A problem with the minimum payment is it decreases as your credit card balance drops, which means it could take you years to pay off your debt. If you repeatedly make a payment at or above your current minimum, you can pay off your credit card debt in less time than you might imagine.